Wyoming has 25 designated opportunity zones, including 24 low-income communities, plus 1 non-low-income contiguous tract. Wyoming is a highly rural state, with 70 percent of their census tracts located in rural areas. 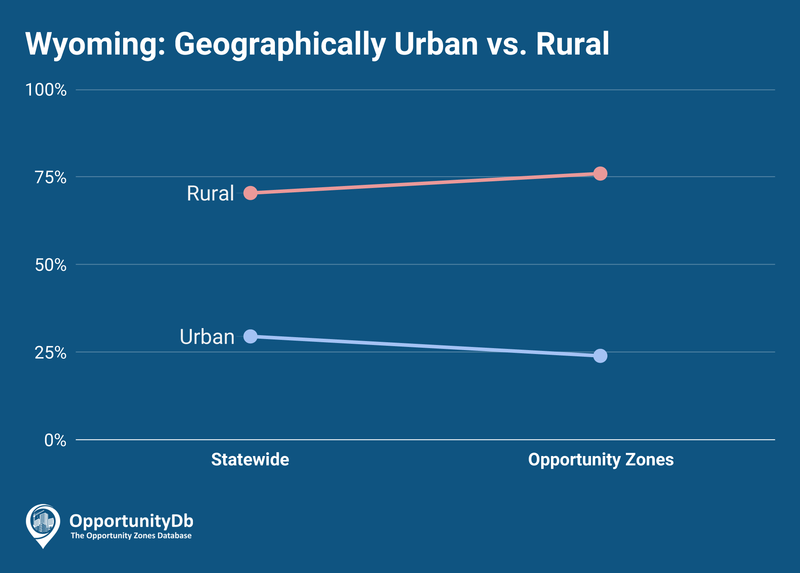 An even higher portion of their 25 opportunity zones are rural — 76 percent.